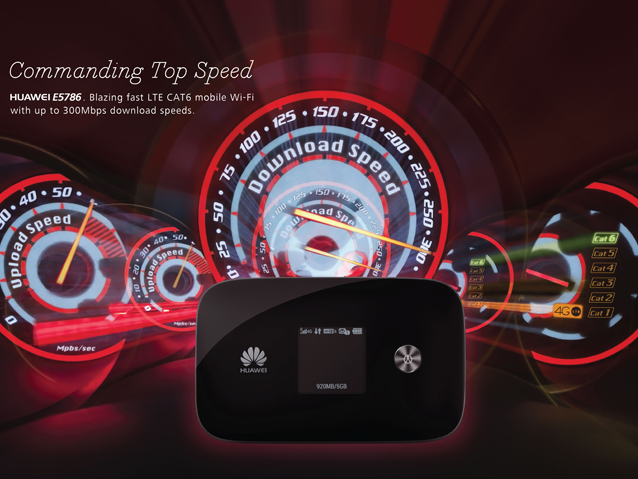 In Barcelona Mobile World Congress 201, Huawei announced the world’s first LTE Cat6 mobile hotspot device Huawei E5786 to support maximum downlink rate of up to 300Mbps and also the industry’s first support for 802.11ac WiFi technology, allowing users to be able to get higher LTE downlink rate. It can also be better able to provide higher-speed transmission as WiFi hotspots to share terminals. Huawei consumers BG CEO Yu Chengdong said: As a leader in mobile broadband and next-generation network service providers, Huawei has been committed to providing consumers a seamless experience to create end-to-end intelligent access network. 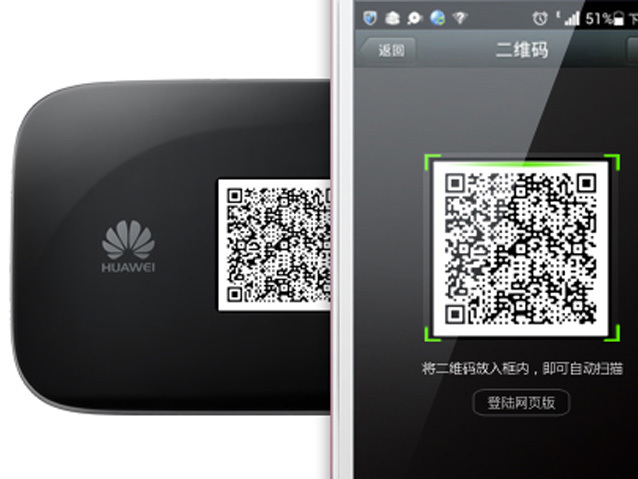 Huawei have been released in 2012 the world’s first TDD multi-mode data card E392, and in 2013, released the first mobile hotspot support LTE Cat4 E5776, etc., which means Huawei has become a leader in mobile broadband terminal brand. 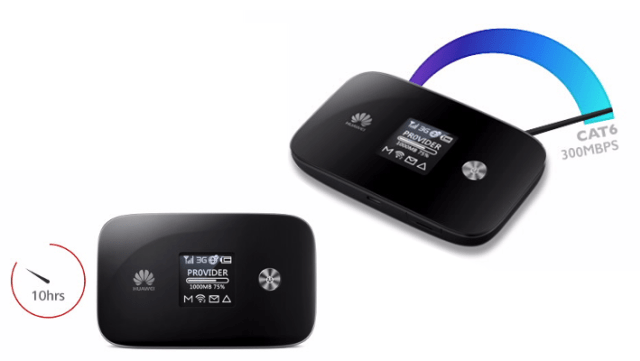 As an industry-leading mobile hotspot, I believe Huawei E5786 provides high-speed, stable mobile network connection to gain better reputation which will further expand the market blueprint for Huawei mobile broadband terminal. 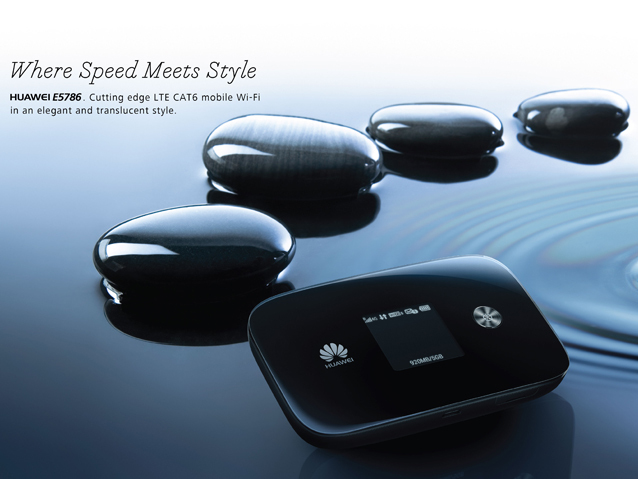 Huawei E5786 supports downlink speeds of up to 300Mbps, while the uplink rate can reach 50Mbps. It means E5786 support large files and movies of a high-definition download to be completed within 30 seconds. In addition, Huawei E5786 use carrier aggregation and high-frequency technology to support 10 mobile broadband WiFi access, and is the first mobile hotspot to support WiFi 802.11ac 2 × 2MIMO, while supporting 2.4GHz/5GHz dual-band, dual antenna, to provide users with better internet access. Standby capacity for mobile hotspot device is also important; Huawei E5786 is configured a 3000 mAh battery capacity with Huawei’s “Smart Power” power-saving patent technology to meet user long standby demand. According to the official introduction, it could support sustainable work in 10 hours on LTE networks, more than 500 hours standby, while Huawei E5786 also has the ability to support mobile phones, tablets and other mobile intelligent terminal for charging. Regarding the appearance, Huawei E5786 has a 106 × 66 × 15.9mm body size, so that one hand can easily grasp. In addition, Huawei E5786 performed on the user experience and interface optimized to support MicroUSB3.0 and 32 GB SDHC card, 5 seconds boot functions. Users can also run “Mobile WiFi” application on the phone or Huawei mobile intelligent terminals, to achieve access equipment, flow, amount to view the state of charge, and can also set the time for automatically disconnected under power saving mode. Huawei E5786 black version is expected available in May this year in the commercial market, such as Europe, Australia, Russia and the Middle East. Let’s keep follow!